Call: Claire Gilmour on (07) 5409 9014 . Email: Claire Gilmour at autism@stepsgroup.com.au. 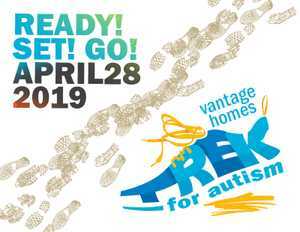 Get your walking shoes on and join us as we Trek for Autism and support Coast Families living with Autism. Generously supported by Vantage Homes. Enjoy the challenge of trekking from Coolum Beach to Alexandra Headland surrounded by friends and fellow supporters of STEPS Autism Treehouse in one of our favourite fundraisers of 2019. Help us continue to provide support to Coast families by raising money locally and keeping it local. Half Trek option also available starting at Mudjimba Beach. Register via the website. We also require volunteers, please get in touch if you'd like to be involved.